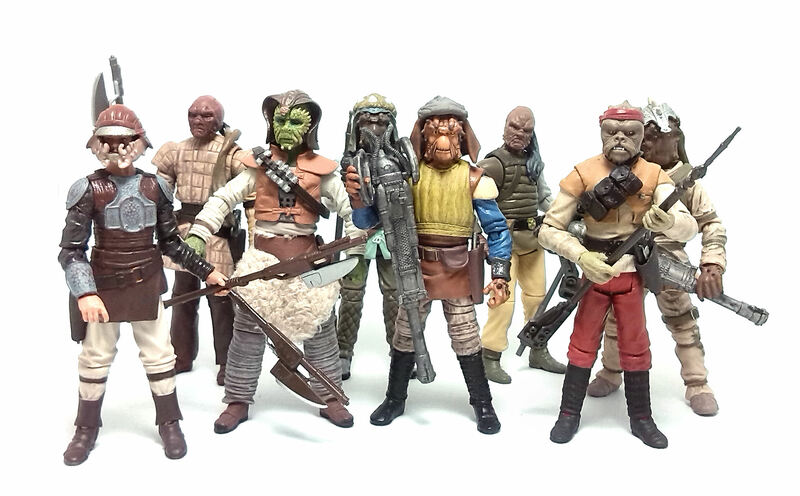 Over the past few years, Hasbro has been hard at work binging us updated versions of characters released by Kenner back in the real vintage days, but the figure I’m reviewing here today represents something a little different, as he is one of those characters that did not get made into plastic back then. 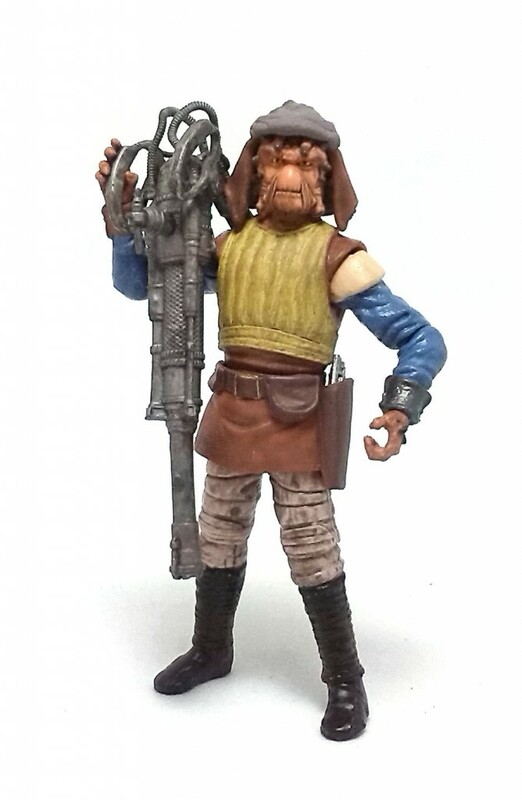 Vizam was released in the 3.75-inch scale Star Wars Black Series and he is yet another of the nikto gunners we see in Return of the Jedi, during what was later called the Battle over the Sarlacc Pit. 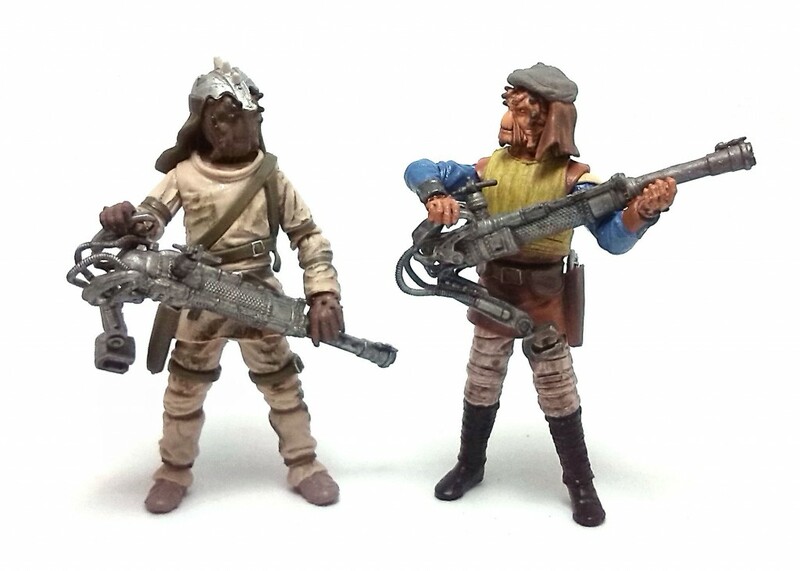 Vizam is a nikto, and more to the point, his hands and head are actually the same molds that had already been used by Hasbro for the Nikto Skiff Guard from the Star Wars Vintage Collection, but different from those of the other Nikto Gunner we got in the Legacy Collection. Vizam has a completely new skullcap accessory and body sculpt that represents various layers of loose fitting garments. Each piece of clothing display a nice amount of details sculpted in a way that conceals most of the articulation. 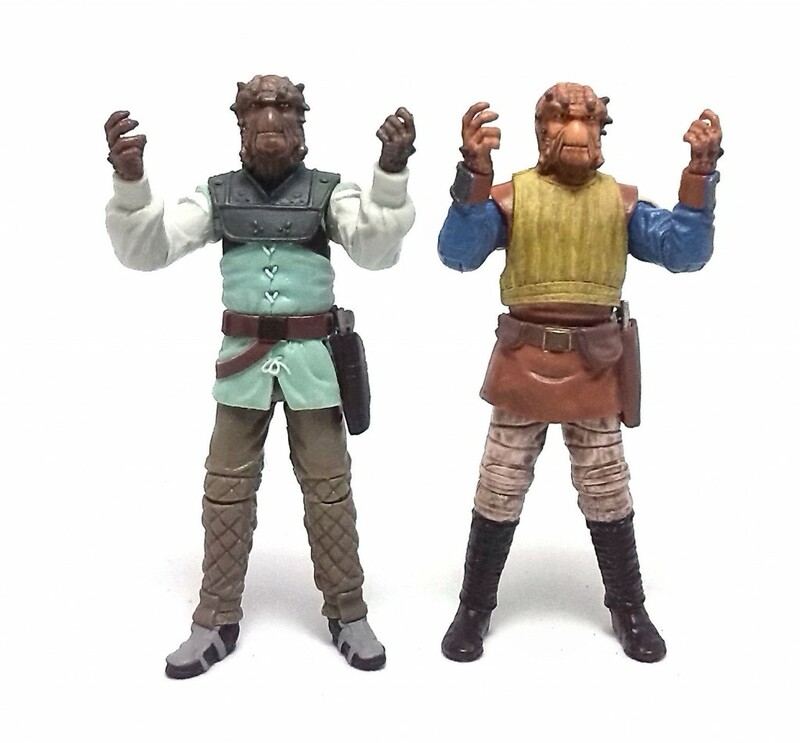 Even with the short rubber skirt piece that represents the lower edge of his tunic, Vizam has a very good range of articulation and can hold most poses without a hitch. The paintjob on Vizam is quite nicely applied, although I think it is a bit brighter than it should be. Part of it is the lighter shade of color used for the exposed skin areas, but also some of the garments are quite colorful, like the bright blue sleeves or the light yellow smock he wears over his leather tunic. Fortunately, a shading wash was applied over the yellow smock and also on the legs, tying together the appearance of the clothing and toning down the overall brightness. 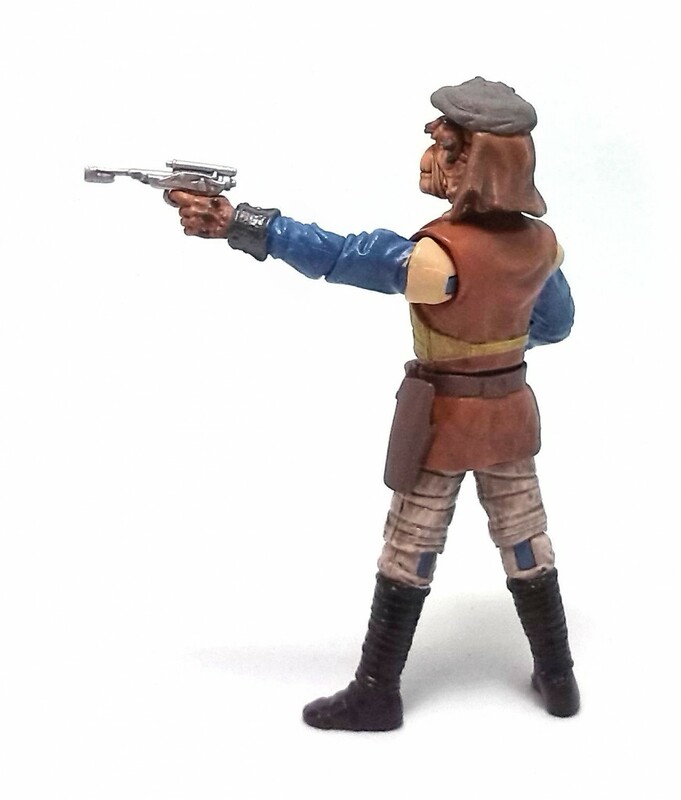 Vizam comes armed with a blaster pistol he can grab on either hand or carry in a holster sculpted on the left side of his skirt piece. 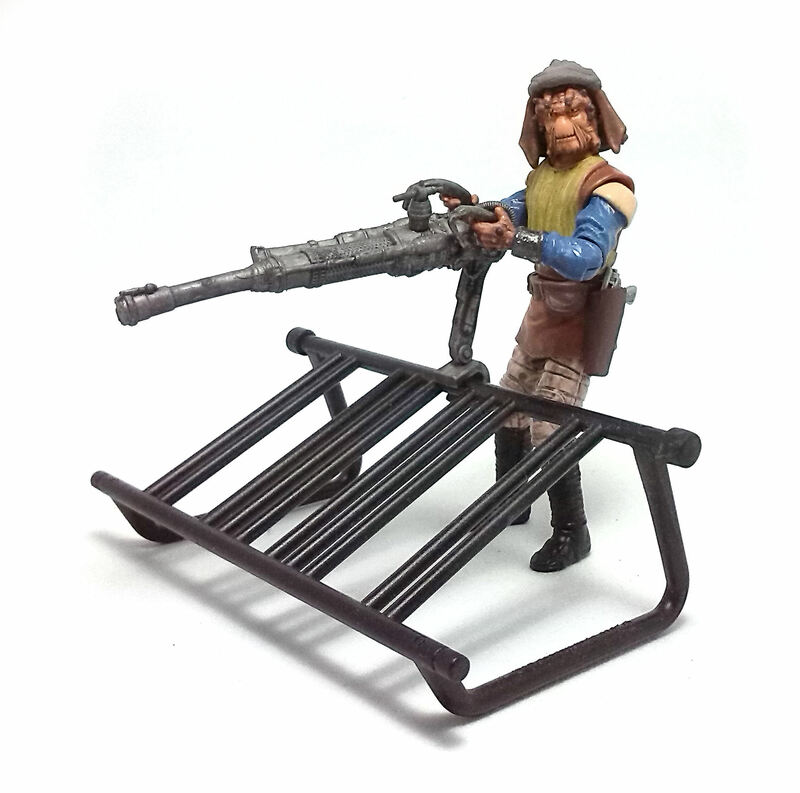 He also comes with another of those portable deck cannons, with a support arm that clamps onto the railing in a desert skiff. Both pieces are made of silver plastic and washed over with a dark color to bring out the sculpted details. 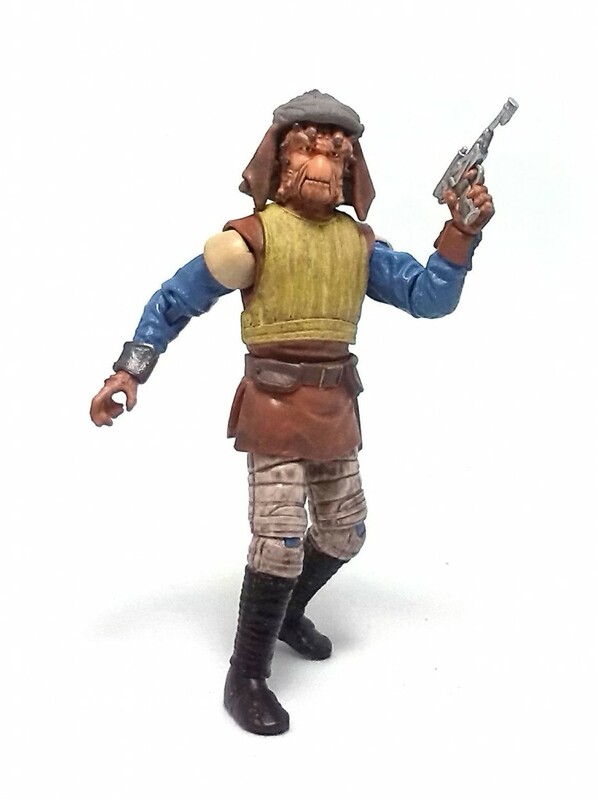 Although Vizam is one of those characters that are easy to miss while watching Return of the Jedi, I have to say that Hasbro really took the time to produce a very rewarding action figure for this guy.